Just the other day I was looking in the mirror when a frown quickly appeared across from my face because I had noticed those dark roots starting to come in once again (along with some grays – eek!) Seems like I just had my hair colored? Has it really grown out that fast already? And then how come my hair doesn’t look longer?!?! WTF?! Ugh, I’m sure I’m not the only one who has experienced this frustration all too often. I started coloring my hair religiously about 2 years ago, getting blonde highlights frequently because I noticed the blonde was covering my grays fabulously! Being that I have light brown hair, the root problem with regrowth is not so fun. 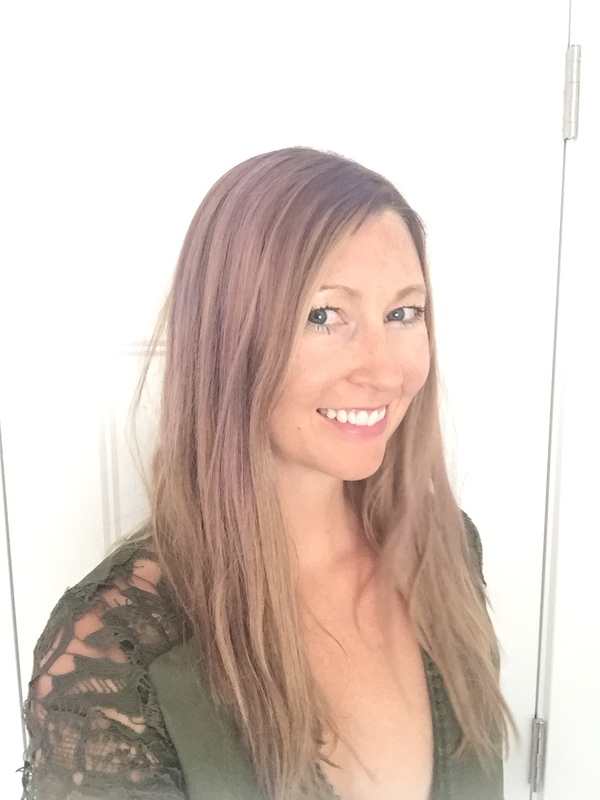 I don’t like the high maintenance (or the cost!) of having my hair colored so often. I try to extend my appointments as long as I can between colorings, but let’s be honest. Sometimes I hang my head in shame in disappointment with my roots until my next salon visit comes around. Not to mention, I totally get OCD with plucking the grays at this point in time too! Luckily, I came across a pretty amazing product just in the last week, and I’m absolutely thrilled to share it with you! 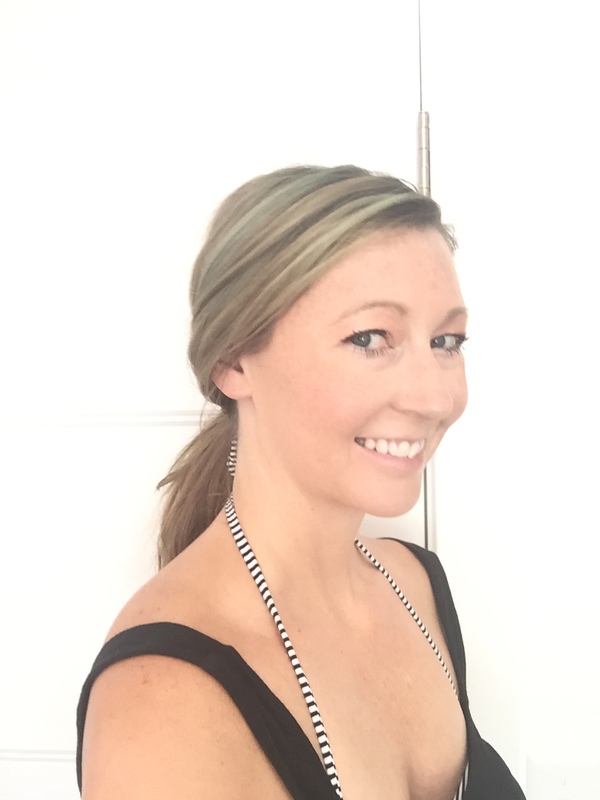 Are you open to finding out how I successfully extend my salon coloring appointments now, and in about the funnest way possible? Read on then Lovely! Temporary root touch-up powder, Rootflage hides dark roots or gray regrowth easily and quickly! Rootflage camouflages roots between salon appointments in seconds so you can extend your hair appointments for weeks! It’s not just for roots either! 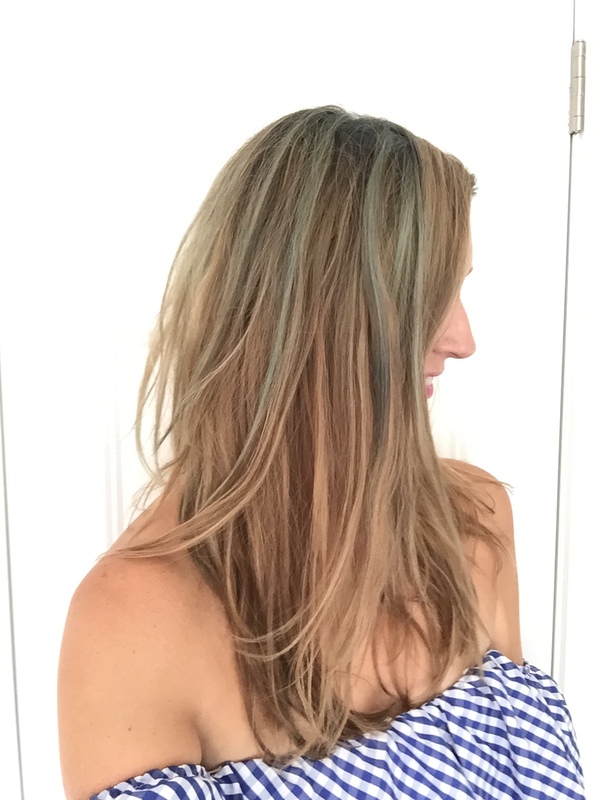 You can use it to create beautiful highlights, lowlights, or just have fun getting creative and playing with color! Rootflage comes in tons of different hair shades, making it easy to find your perfect match to blend in those ugly roots or gray hairs. 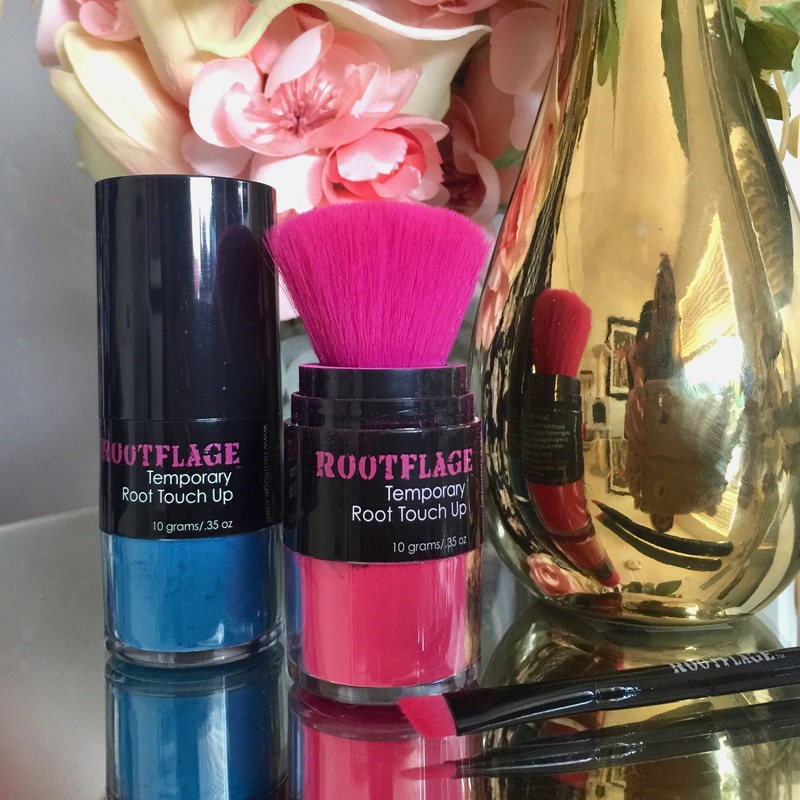 Or, if you’d rather have a little fun like I did, choose from some of their fabulous Rootflage Renegade colors in bright, vivid, and pastel colors in over 25 different shades! 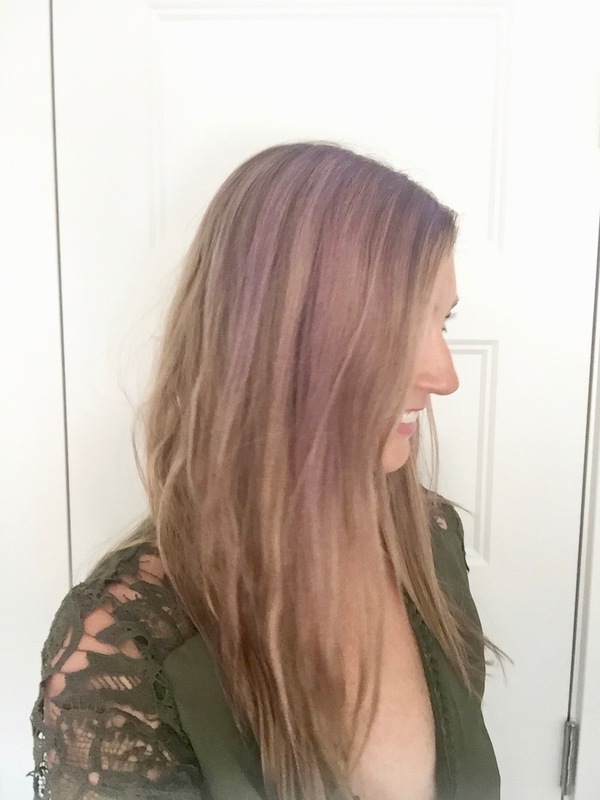 Easily create fun colorful styles and follow the hair color trends without having to spend all that money in the salon for hair colorings! 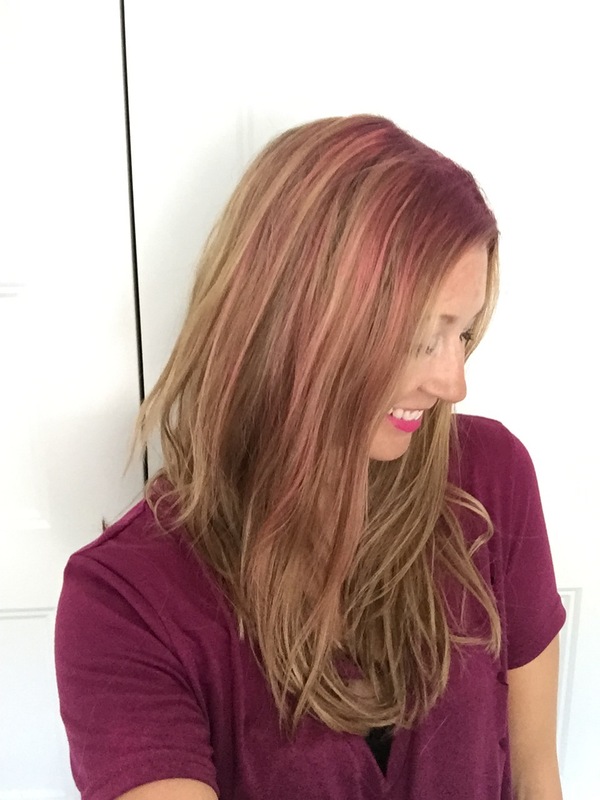 Best of all, it’s not permanent, so you can switch up your hair color depending on your mood! Rootflage also doubles as a dry shampoo and thinning hair concealer too, letting you extend your hair washes while at the same time, making hair look fuller and thicker too! Even if you’re not looking for bold color, you will be amazed at how natural this temporary root touch-up covers roots. 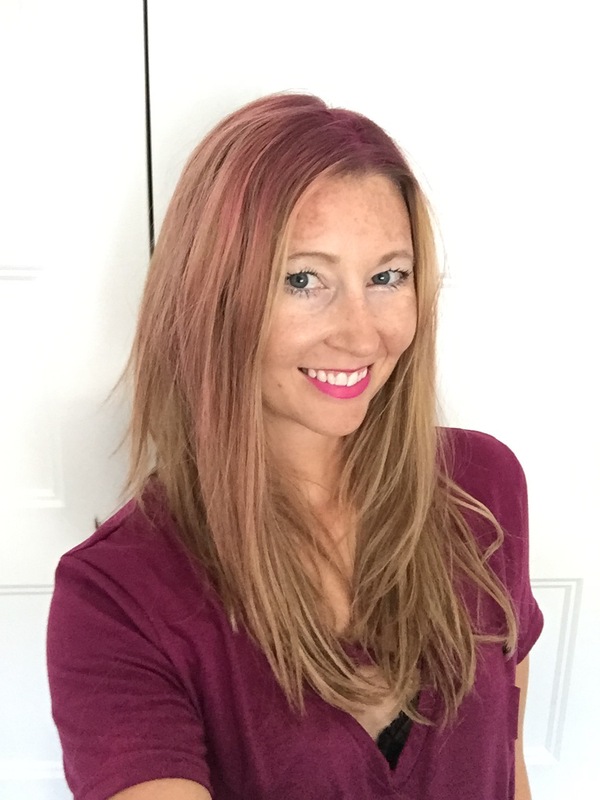 I felt like I had no idea what I was doing when It came to the bright colors, but Rootflage makes it so easy to get amazing, natural color, that it’s virtually impossible to mess up! Rootflage is super portable too so you can easily take it on the go! It’s so easy to use you can apply it almost anywhere! Each Rootflage color comes with its own kabuki brush to deposit the right amount of color to hair for some gorgeous all over color or highlights. You also get a more precise angle brush with your Rootflage for more precise coloring. 1. Cover clothing and counter with towel, if you’re going for some all-over color or a lot of highlights! It can be a bit messy, but once you get used to applying color more often, like me, you may find that you have more control and don’t create such a mess after a couple uses! If you do happen to get color on the counter or your skin, it rinses right off with water. 2. Use disposable gloves, especially with some of the brighter colors, as they can be a bit harder to wash off, but still scrub off somewhat easily. 3. Apply Rootflage by removing the lid and carefully tapping the brush head on hair, until it starts to disperse some powder through the hole in the center of the brush. 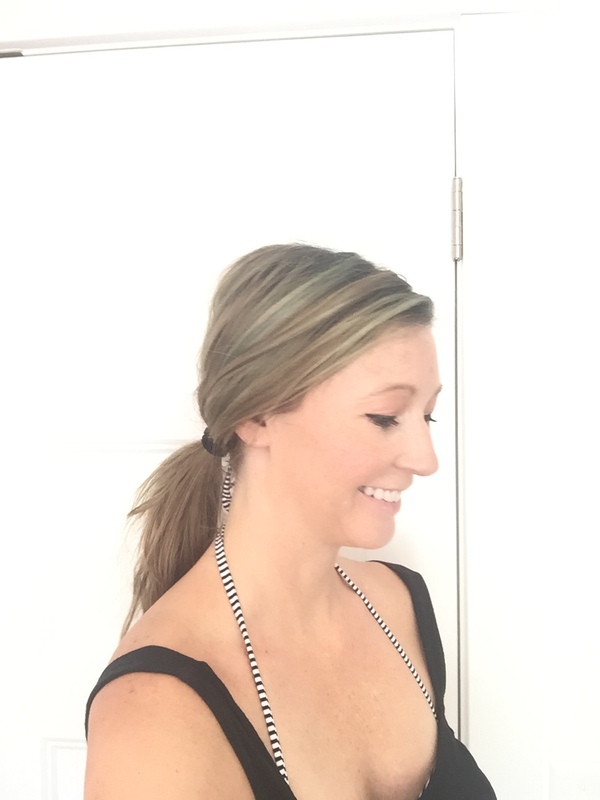 Brush down hair and blend in a downward motion away from your face. You can place your other hand under the hair to prevent powder from ending up on your face. (I ended up with powder on my face the first time I used Rootflage, but was easily able to wipe it off with a wet towel). 4. Keep tapping and blending Rootflage on hair, until you achieve your desired look. 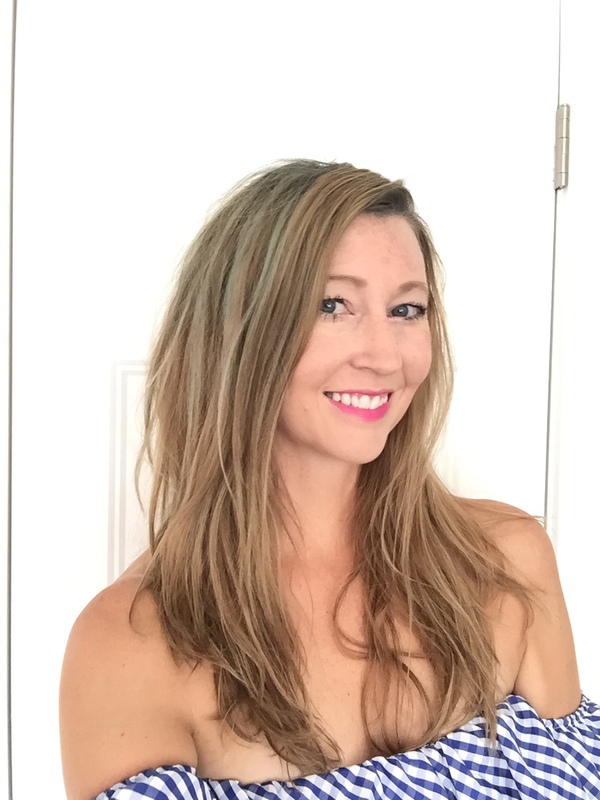 If you’re going for fun thick highlights like I did here, start at the roots and work your way down for a thicker deposit at the top, so it’s more blended as you work your way down the hair shaft. Move around the head, picking one-inch chunks (the length of the kabuki brush) and work your way around your head until hair is covered evenly. You can also get brave here and start mixing in other colors! *If you want a heavier application, you can unscrew the brush and dip directly into the powder. I found the brush to be quite effective for dispersing powder, so I didn’t even need to do this. 5. Once finished, apply a light mist of hairspray to keep hair color intact. I had my hair colored in only a couple minutes! Check out my master pieces below! Here I’m using Rootflage in Pink Parade I had my hair colored completely in only a couple of minutes! How fun right?! I’m absolutely in love with this stuff! Rootflage is mineral based and contains no harsh chemicals, dyes, or colors, and it won’t damage hair. It’s cruelty-free too! It also washes out super easy too, when you’re tired of your color or want to experiment with something new! The bottle also contains a ton of powder and will give you tons and tons of uses (about 60 applications) hiding those roots for a long time to come! Check Rootflage out today and Pick from the 25 super affordable colors they have to choose from at Rootflage.com. You can also find them Here on Amazon and check out all their 5-star reviews on this amazing product! Which color would you choose? Something fun and bright or something more natural and a perfect match with your hair? Let me know in the comments! I love hearing from you! Be sure to Like MyStyleSpot on Facebook and Follow on Instagram for more beauty updates, tips, and tricks! never said do you like the colors on your hair?? I may have to get this for my 87 yr old mother, she is not into gray hair showing at all!! Oh my gosh, I need this! I have been transitioning from hot pink to a more neutral light blush and this is the answer to my root issue! Thank you for sharing this fabulous product, I’m going to get this as soon as I can. This would be great for Halloween! Though I have dyed my hair purple before (in my crazy youth!). I love it! I like the pink on you, and I would love to try the green. Oooh I LOVE this!! Do they have a red?! Id love a red for my hair! So fast and easy! Incredible Review, I love this. This is cool. Thanks for sharing. This is great! And it’s a powder, who would have thought that would work so well. I like it has a 5 star review and has so many applications for what you buy. So cool! I love it. Good review–I’m glad to know about this product and the tips were great. Thanks so much Kara! Happy Holidays! I’d love to give this a try! I love the fun colors as well..I can be a little daring right? 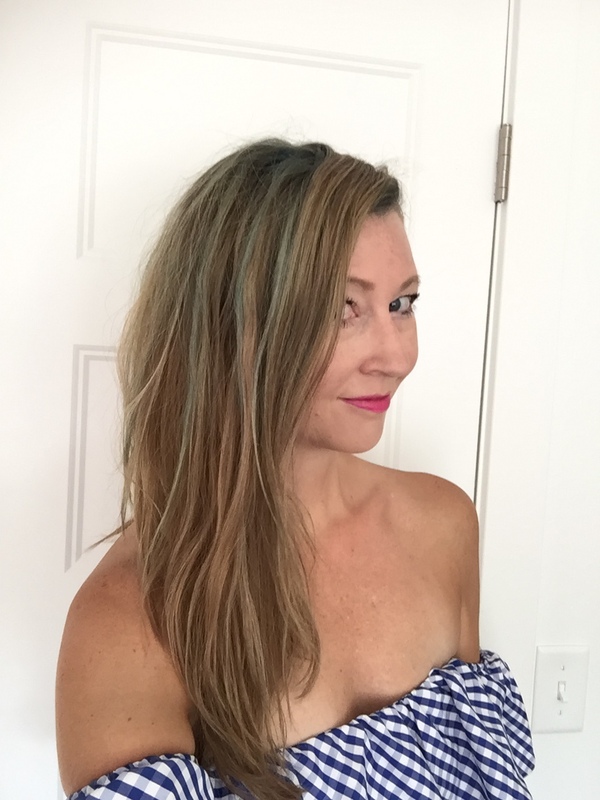 I too am a brunette and wondered if I should go blonde since my color wares out within a couple of weeks and all that’s coming through at this point are grey hairs. Sooo, I’m complimenting going blonde. Love this review! This is genius and so much fun. It looks really easy to use. have decided i want to add some interest to my old gray/brown hair. I think this would be fun to use going to have to look for it. My hair is dry from coloring so much so this is a wonderful idea. I love the Peacock Blue on you! This is so cool and easy. Not to mention quick. I am going to pick some up. Thanks. I actually stopped coloring my hair because the upkeep is so tedious. This is a great solution to that. Thank you. Something to definitely consider. This sounds intriguing. I hadn’t even heard of it.